With free Wi-Fi, modern rooms and a convenient location, the Elite Motor Inn is one of the best motels in the region. Our motel rooms have modern furniture and décor so your stay will be as comfortable as possible. We pride ourselves on presentation and we strive to make your Armidale accommodation experience one to remember. With free Wi-Fi, air conditioning and off-street parking at our motel – you won’t feel ripped off when you stay at the Elite Motor Inn. We offer cheap accommodation, but we aim to treat you with the best service. Only 500 metres from the CBD, the Elite Motor Inn is your gateway to the New England High Country and surrounding National Parks. With views over the picturesque Dumaresq Creek, each night spent here will leave you wanting to explore more of what this beautiful region has to offer. 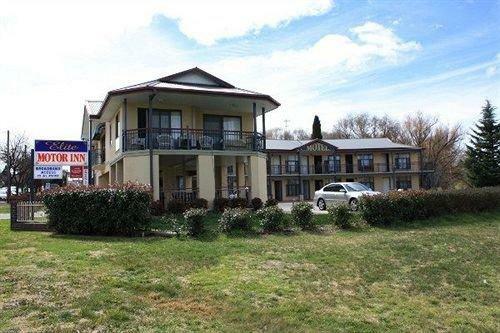 Whether it’s your first visit to the Armidale region or your one hundredth, you’ll be blown away by the amount of things there are to do during your stay at the Elite Motor Inn. For a local’s insider tips, be sure to ask one of our friendly staff for the best attractions during the season of your stay. Looking for Affordable Armidale Accommodation? If you’re interested in staying at the Elite Motor Inn, we have a range of room options to suit you.